Follow I-95 S to County Rd 210 E in St. Johns County. With Pulte’s thoughtful new home designs in one of the St. Augustine’s most appealing areas, Creekside at Twin Creeks is the perfect place to call home. 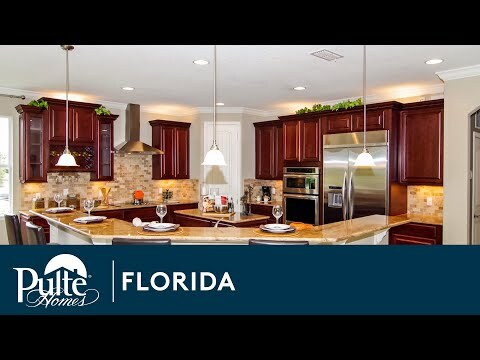 Located in the highly sought-after St. Johns County School District, the Creekside community attracts homeowners looking for new home construction with quality schools & plenty of living space. Our collection of single-family new homes offers spacious gathering areas perfect for entertaining and functional spaces for managing your busy life. The life you want to live is waiting for you at Creekside at Twin Creeks. Explore this community and see for yourself. The easy living Darden features an open concept and gathering room, combined with a cafe off the kitchen, and covered lanai. The Oasis is a single story home design featuring 3-4 Bedrooms, 2 Baths, plus flex room, covered lanai and a 2-car garage. The Carissa features an open concept first floor along with a spacious loft and additional upstairs bedroom. The Casoria is perfect for families of all sizes with a lot of customizable options to fit your needs, as well as a lot of built-in upgrades. Creekside at Twin Creeks, located in desirable St. Johns County, features single family home designs within the beautiful master-planned community of Twin Creeks, just south of Race Track Rd., off US 1. Explore miles of hiking trails or spend the day on the water, fishing and boating. Your home is just a short drive to the Atlantic Ocean. Located just south of Race Track Rd. in the master-planned community of Twin Creeks, Creekside is easily accessible to SR-210, US-1 and 1-95, located in between Jacksonville and St. Augustine. The area offers natural recreation opportunities, including fishing, boating, and hiking trails and a short drive to the Atlantic Ocean. Love to shop? Explore the St. Johns Town Center, an upscale outdoor mall featuring 150 retailers and eateries including The Capital Grille, Pottery Barn, and Dillard’s. 1 & 2 Story Home Designs Ranging from 2,097-3,994 sq. ft. Check out Creekside at Twin Creek's aerial video to see where your next home will be located!